The Best of Keane is an anticipated compilation album, featuring the best and only the best songs by Keane. In summary, most of the songs will come from Under the Iron Sea album (remember Atlantic?) and Hope and Fears, which features my all-time favorite, Somewhere Only We Know. The rest will be a conglomeration of a few songs from their other also note-worthy albums. But of course, aside from the old songs, new ones are also included in the album. One of them is entitled Higher Than The Sun and it was recently released as a single, which you can listen below. 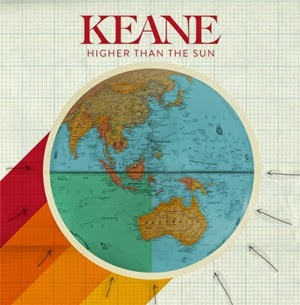 Listen to the new single Higher Than The Sun by Keane. Higher Than The Sun, along with Won't Be Broken, is an entirely new song to be included int eh compilation album, The Best of Keane. This song was actually written during the Strangeland era, which was basically just last year and the latest studio album from the band. The Best of Keane is expected to fly into music stores on November 11, 2013.